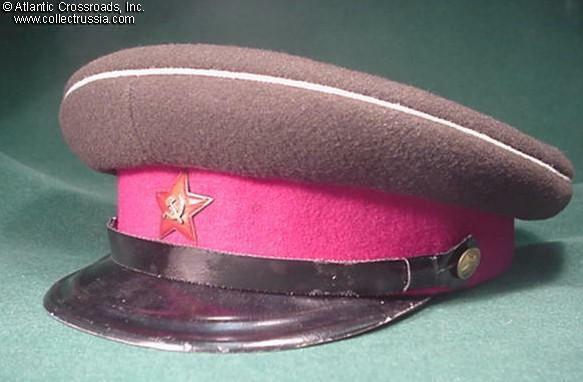 M 1936 General Staff Academy instructor or student visor hat, 1936-40. 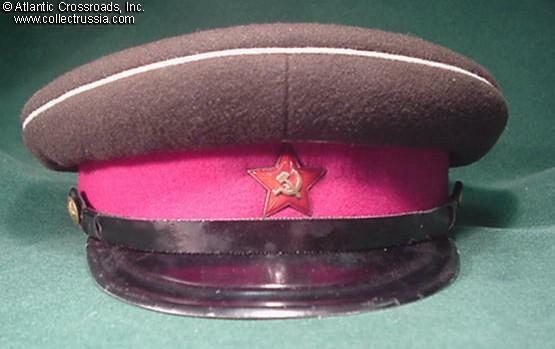 M 1936 General Staff Academy instructor or student visor hat, 1936-40. All students and lecturers at this institution were General rank officers. Cap in olive green napped wool, with crimson cloth band and white piping. 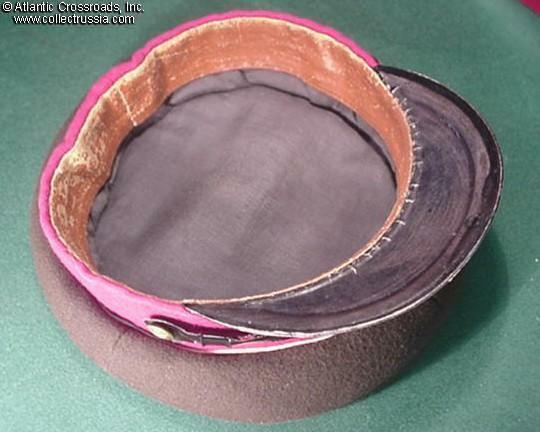 Early style small rounded visor. 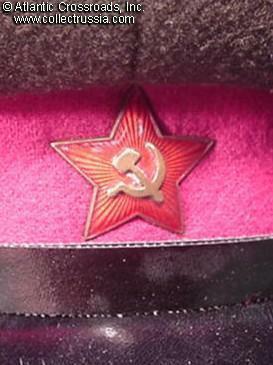 Comes with correct 1930's hat badge with separate hammer and sickle emblem. Original chin cord and sweatband. Approx. size 58. Liner is stamped "From the personal collection of ... (name is illegible)". Excellent condition. Rare.